For the past several years we have talked of BMW producing a front wheel drive vehicle and today it is introduced to the world in concept form as the BMW Concept Active Tourer. 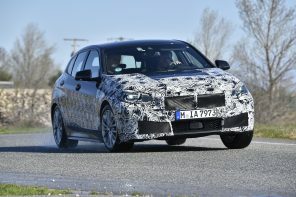 Make no mistake, this is a lightly disguised production version of BMW ‘s forthcoming front wheel drive hatch. By BMW taking this step, the brand will finally have an answer for the Mercedes A/B class and the Audi A3 which sell in droves the world over. These cars are the mainstays for those that are interested in interior space, comfort and premium practicality. Perhaps just as important the front wheel drive BMW we see today in concept form will also be the answer to make MINI profitable and sustainable without having to resort to wholesale engine and chassis sharing with another brand. BMW ‘s 1 series hatch (outside the US) has always been the class leader for driving dynamics but sales suffered because of the cramped and less than practical packaging offered because of its rear wheel drive build. It would seem that BMW realized this and have taken what they have learned from MINI in terms of sporty front wheel drive and applied some premium touches along with increased usable space on the inside to cater to a new segment. While we are still a year away from the launch of BMW ‘s electrified BMWi sub-brand with the i3, some of that technology may be injected into the standard line of BMWs as this concept is displaying a plugin hybrid drivetrain, the first we have seen from BMW. The rear wheels are powered by an electric motor and the front are driven by a 1.5l three cylinder gasoline engine. The combustion engine also features a generator for supplying power to the electric drive. What BMW has created here is an frugal commuting car that is rumored in Europe to cost under 30k euros without the hybrid drive train- the most affordable BMW offering in years. And that 1.5L three cylinder? It will go on to power both the MINI and BMW in many different forms in the years ahead. 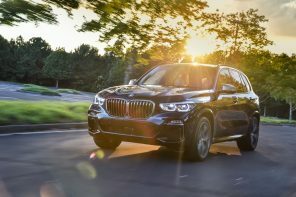 There is no official news on whether BMW will be selling this model in the US but it is being shown as a hybrid (which only really sell well in the US) and former BMWNA CEO Jim O ‘Donnell had hinted last year that this would be coming stateside may be foreshadowing a future announcement. Until then check out the gallery and the full BMW release. As a plug-in hybrid, the BMW Concept Active Tourer also provides a glimpse ahead to future drive variants in automobiles of the compact class. The eDrive concept familiar from the BMW i8 is used here for the first time in a model of the core BMW brand and will in future be the designation for all electric and plug-in hybrid drives. It covers all components of the electric drive, the electric motor developed by BMW, the lithium-ion battery and the intelligent engine control unit. Excellent combination of sporty aesthetic appeal and comfort. The new BMW Concept Active Tourer combines compact dimensions and an attractive, sporty design with hallmark BMW quality. With an exterior length of 4,353 millimetres, a width of 1,834 millimetres and a total height of 1,560 millimetres, the BMW Concept Active Tourer is geared towards customers of the premium segment who appreciate a high level of comfort, a raised seating position and a generous amount of space. The BMW Concept Active Tourer will also be attractive to families who attach importance to functionality and versatility as well as lifestyle and athletic flair. BMW Concept Active Tourer. Furthermore, the two large outer air inlets below the headlights emphasise the impression of width created by the front view. Seen from the side, the elongated silhouette with its suggested wedge shape gives the BMW Concept Active Tourer a dynamic feel even when stationary – something which is unique in the class. Integrated door openers and the strikingly contrasted side sills with their rising shadow line combine with the large 20-inch wheels to give the BMW Concept Active Tourer its sporty, elegant appearance. Short body overhangs at the front and rear and the long wheelbase make for an unusually generously sized interior considering the vehicle ‘s compact exterior dimensions. The raised roof line and large doors at front and rear promise convenient access to all seats. Meanwhile, the rear section of the BMW Concept Active Tourer is characterised by athletic elegance. Marked, horizontal body lines define the rear view of this compact BMW. The large rear light clusters running well into the side panel highlight the broad wheel arches, visually underscoring the vehicle ‘s solid road holding. The large tailgate with low load sill and wide opening provides convenient access to the luggage compartment. The generously designed interior of the BMW Concept Active Tourer is both transparent and refreshingly new. The open-pore laminated wood milled from a single block provides the visual link between the upper and low decor surfaces of the instrument panel. This creates a very elegant and light overall impression in the front section of the interior. The door trim panels and seats are covered in light, velvety soft full-grain leather and smooth leather, providing a silky, shimmering gloss which emphasises the luxurious, elegant ambience of the interior. There are also orange contrasting seams which underscore the vehicle ‘s sporty character. The BMW Concept Active Tourer offers an entirely new sense of space. The centre console appears to hover between the two front seats with a smooth transition to the dashboard. This arrangement guarantees maximum legroom for both driver and front passenger. The cockpit with hallmark BMW driver orientation provides optimum accessibility of all the main controls. The circular instruments in Black Panel Technology are within the driver ‘s field of vision, as is the monitor of the central information display. As an optional extra, a full-colour Head-Up-Display appears on a special retracting glass surface between the steering wheel and windscreen – a first in the compact segment. The raised seats in the so-called semi-command position also ensure an excellent all-round view, rounding off the optimum level of operating convenience and comfort. “Cool Shade ” Panorama Roof: Changes Spatial Feel and Temperature at the Press of a Button. Rear passengers likewise enjoy very comfortable seating in the BMW Concept Active Tourer. The generous leg space created by the long wheelbase and slightly raised roof gives passengers plenty of freedom for movement. This also makes it particularly easy to enter and exit the vehicle. The luggage compartment is highly versatile due to the variable rear backrests, which can be split 40 : 20 : 40. A flat load floor can be created by folding down all three backrest sections. In addition to these variable luggage space expansion options, the BMW Concept Active Tourer offers rear passengers additional intelligent details as part of the Travel & Comfort System. A centrally located vertical metal track is integrated in the back of the front seats. This innovative clip-on track system allows folding tables offering a range of convenient adjustment options to be attached by means of a quick fastener, and additional storage bags can also be suspended. Use of all common models of tablet computer is especially convenient from the rear seats. Tablets can be fixed to the clip-on track system in either portrait or landscape format and used for internet search, games or relaxed movie-viewing at eye level. The familiar look with four circular instruments is still retained, but the use of extended Black Panel Technology gives the drive a whole new range of display options. For example, the screen shows the drive experience modes COMFORT, SPORTand ECO PRO with differing indicators and in distinctive colour schemes, thereby ensuring increased safety and efficiency as well as exemplary driver orientation. As a result, the instrument cluster provides the driver with information which perfectly matches the situation on the road. “Seismic Surf ” app for economical driving made easy. Rear Passengers in the BMW Concept Active Tourer can Experience Fascinating Technology Hands-on with the new iPad app “Seismic Surf “. “Seismic Surf ” creates a game world in real time. It is an exciting ecological racing game which draws on the acceleration figures, engine speed and other data supplied continuously by the BMW Concept Active Tourer. Each real-life driving situation is interpreted and used to generate an infinite variety of new challenges in the computer game. Head-Up Display with Brilliant Resolution and a Full Spectrum of Colors. The BMW Concept Active Tourer is fitted with the latest-generation multicolor Head-Up Display. It projects all important information in brilliant resolution directly into the field of vision of the driver via a retracting glass surface. The intensity of projection automatically adapts to the light available. The day and night design is the same as that of the instrument panel. Depending on the driver ‘s preference, not only the current speed and speed limits can be displayed but also overtaking bans. The driver can also obtain navigation assistance as well as a range of warnings. Because of the large number of driver assistance systems available, the scope of information which can be displayed in the Head-Up Display has reached a level as yet unequalled in this class of vehicle. The drive of the BMW Concept Active Tourer follows the BMW Group ‘s pioneering philosophy of sustainable mobility. The drive technology of all BMW plug-in hybrid models and electrically powered BMW i models bears the designation BMW eDrive, a term which includes all electric drive components. The BMW Concept Active Tourer has been designed as a so-called plug-in hybrid – ideally combining the benefits of electric drive with those of a classic combustion engine. The plug-in hybrid (PHEV = Plug-in-Hybrid Electric Vehicle) will have a particularly important role to play in future. This is because plug-in hybrid vehicles normally have a range of well over 20 kilometres when run on electricity and can therefore be used efficiently for both short and long trips as well as in mixed mode. In the case of the BMW Concept Active Tourer, a state-of-the-art 1.5-litre petrol engine from the BMW Group Efficient Dynamics family of engines interacts perfectly with a synchronous electric motor. The combustion engine of the new BMW Concept Active Tourer is a new cutting-edge 1.5-litre engine with BMW TwinPower Turbo Technology. Derived from the multiple award-winning 6-cylinder engine with BMW TwinPower Turbo Technology, it combines the latest generation of High Precision Injection with the fully variable valve control system VALVETRONIC and ultra-modern turbocharging. BMW TwinPower Turbo Technology will be used in all power units of the BMW Group ‘s Efficient Dynamics engine family in the future – not least because it does not depend on total capacity or number of cylinders. The new 3-cylinder engine in the BMW Concept Active Tourer is one of the first representatives of this new generation of engines. The compact in-line engine constitutes an exemplary combination of dynamic performance and efficiency. As part of the BMW Group ‘s Efficient Dynamics strategy, the BMW Concept Active Tourer also features a measures package specially geared towards the plug-in hybrid to increase efficiency. For example, an anticipatory operating strategy optimises the efficiency of the electric motor and the high-performance battery. The system draws on data provided by the navigation system, calculating in advance the most suitable sections of the route and driving situations in which to apply electric drive or charge the battery. This optimised charging strategy saves up to ten per cent of energy so as to extend the amount of travel time during which the vehicle runs on electrical power alone. The new BMW Concept Active Tourer naturally includes numerous other features of the BMW EfficientDynamics strategy, too. In the case of the BMW Concept Active Tourer, these are all mainly geared towards maximising the range of the vehicle when running purely on electricity. This involves optimising the energy consumption of the ancillary units. Every kilowatt of stored energy saved is thus instantly available to power the electric motor. Other BMW EfficientDynamics measures include an automatic engine start/stop system geared especially towards the plug-in hybrid drive and the second generation of air flap control. ECO PRO mode also provides the driver with valuable advice. To this end, this system is linked to the navigation system. Based on the calculated route data and the driver ‘s individual style of driving, ECO PRO mode is able to indicate how to reach a given destination with the lowest level of fuel consumption, for example. The preview assistant gives the driver tips such as “Remove foot from accelerator ” if a tight bend or speed limit is approaching which the driver cannot even see yet. The preview assistant can take into account such features as bends, built-up areas, roundabouts, T junctions and motorway exits. At the same time, an anticipatory transmission assistant optimises the electronic transmission control system for imminent situations. And let the bitching commence! I am pleasantly suprised though, it isnt a bad looking little car, hopfully those Mini gene’s translate well in this car. Agreed. Shame about the pedestrian impact standards and the front overhang though. But surprisingly dynamic looking car. I have always wondered (and would love to attempt) if an A3 with sticky tires and a brake pad upgrade could actually get the rear wheels off the ground under hard braking…. I bet it could with the weight imbalance. Here in Germany they use hoists to lift illegally parked cars out of the space and onto a flat bed- I recently saw a VW Scirocco picked up in this manner and it did such a nose dive that they actually couldn’t get it out of the spot… maybe an advantage to lousy weight balance ? I give BMW credit — that’s about as good as you could possibly hope to make one of these A/B class cars look. The front view is actually very striking. For those that commute into cities (or live in them) this is a great option. It just makes sense for BWM to be in this segment. What I’m going to be interested in is if this very same set up will be in the production car or not, because it sounds alot like an i3. If so it’ll be like making an M5 coupe, theres already a similar car. I disagree because the i3 will never have a combustion engine power the drive wheels and will be designed to be long distance electric. This drivetrain is a plugin hybrid with limited electric only range. This will also be a larger in size offering. Is it wrong for me to like this car? I always could use the excuse it is offsetting the M6… Impressed by what BMW has come up with especially that interior! Really. I can’t say I like the interior very much. But then I prefer the dumb black everything interiors from years past. I like it. A lot. And I’m surprised. Biggest problem that jumps out at me – front overhang is too long. Plenty of cars have that, and its fine, but it just does not look very BMW. I’m hoping that feature contour on the lower half of the front door will not be there in the production version. Love the way the side mirrors spring from the window trim.